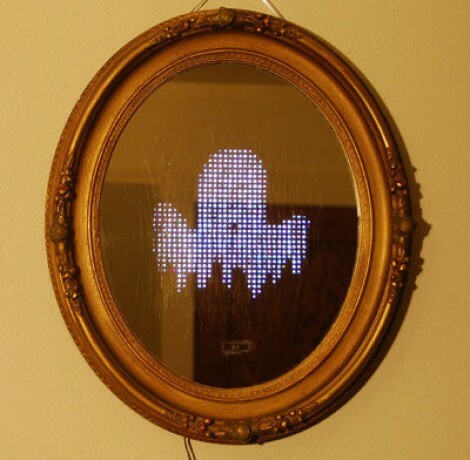 This mirror will spook your guests with a variety of static and animated images. It includes a proximity sensor so the images will not appear until someone comes close enough to see themselves in the looking glass. The electronic parts are quite easy to put together. There is a 32×32 RGB LED matrix mounted on the back of the mirror. It is driven by an IOIO board with some custom firmware written by [Ytai], the creator of that board who happens to live next door to [Alinke]. Where this starts to get interesting is when [Alinke] was working on the mirror to make the LEDs visible from the front. He used a razor knife to put hundreds of scratches in the varnish on the back. This lets just enough light through to see the LEDs, but keeps the mirrored surface reflective. See for yourself in the clip after the break. 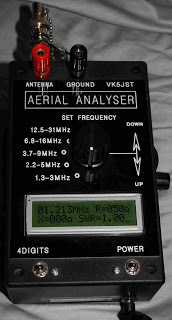 The images are fed to the IOIO board by an Android device. We think this could have a lot of use after Halloween as a weather display or news ticker. Perhaps you could even feed it from your diy Android thermostat. Back in 2011 we did a short roundup of some popular development boards. We promised a follow up at some point, and that time is near. We would really like to make this a fairly comprehensive list and there are always suggestions sent in after the article that we overlooked. 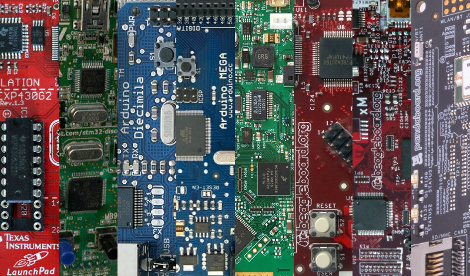 This time, we’re asking that you tell us what dev boards you prefer and why. Either reply in the comments or email us directly at boards@hackaday.com. We’ll round up all of your suggestions and bring you the “development board brakedown for 4th quarter 2012”. Please keep in mind that we can’t possibly know everything about every single board out there, so if there’s some special feature of a board that you love, be sure to let us know!